Sometime this month I'm hoping to get over to Nottingham for Christian Marclay's The Clock. Researchers spent God knows how long trawling for footage of clocks from thousands of movies, in order to build up a twenty-four hour film which covers the entire clock-face; apparently clips of 5am were particularly tricky to find. The film runs at the New Art Exchange until 5 January as part of the British Art Show. Most of the time it's only showing during the day, but you can see the full monty at an all-night event on 10th December. 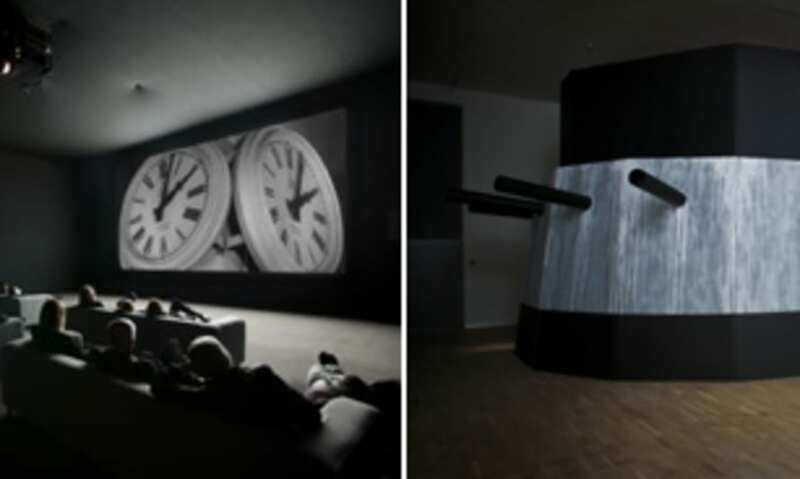 While we're on artists film in the Midlands, Warwick Arts Centre have two forbidding structures in their gallery at the moment which contain films by last year's Jarman Award winner Lindsay Seers. The show is called it has to be this way2 and runs at the Mead Gallery until 11 December.